Anarchy !!! The image of the Tahrir Square in Cairo. Tousands of pro-Mubarak attacked today the anti-government protesters as protest turns ugly. More than 3000 backers of the president clashed with the crowds from Tahrir Square, with more than 500 injured ( The Daily Mail). 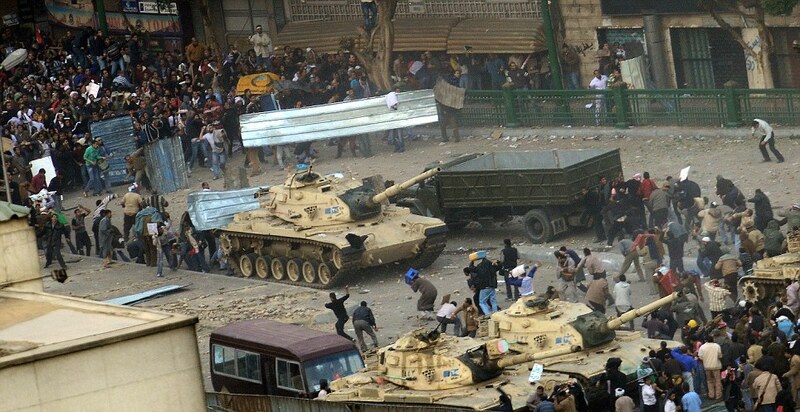 Fortunately for the Egyptians, the army decided to stay away and refused to intervene. Despite the protest began quite peacefully, the violence broke out as the two sides started throwing stones, bottles and sticks at each other across the plaza. During the bloodbath, it is believed that someone disposed tear gas. Depressing , shocking images of this real massacre, but hopefully Egyptians will make history with the protests and free themselves from the claws of their government. But lives are lost, and who will pay for that?